Join the Branford Land Trust and the First Congregational Church on Sunday, October 14 for A Virtual Treasure Hunt at Killam’s Point, 1:00pm. This is the final of four 2018 outdoor events co-sponsored by the two groups; it is free and open the public, giving all an opportunity to enjoy Killam’s Point and to learn about how we interact with nature. Educator and environmentalist Jim Goggin will lead a family-oriented walk that will feature why Killam’s Point is so special. Bring your cameras and binoculars for an unusual afternoon. Crisp air, the ospreys feeding for their long migration, the granite bluffs against the sparkling Sound, schools of bunker fleeing a bluefish frenzy, chipmunks and squirrels harvesting acorns, and through it all, the peace and order of an undisturbed ecological system—this is the Point in all its glory. Space is limited. Please register for attendance, call 203-747-4184. 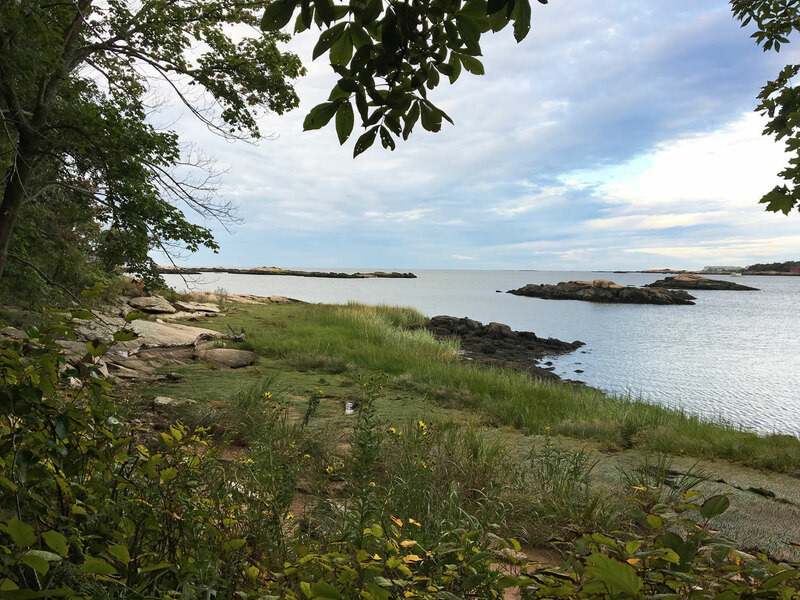 Killam’s Point is an ecological treasure, habitat for many species of bird and animals, with healthy forested uplands, expansive salt marshes, inviting sandy beaches and spectacular granite bluffs. The Branford Land Trust and the First Congregational Church to collaborate to provide programs open to the public sharing the stunning beauty, serenity and fragility of the Point. Please join us as we celebrate being outdoors, together.